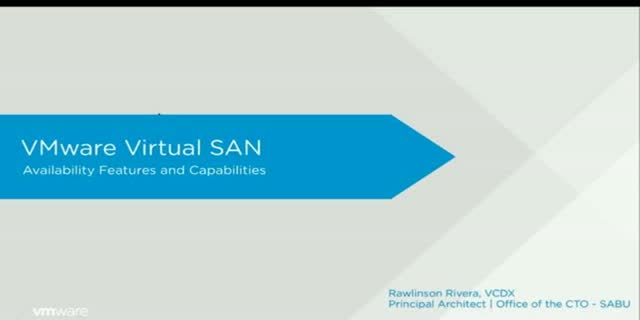 Even the most demanding applications benefit from Virtual SAN enterprise-class availability. We’ll explore these mechanisms in Virtual SAN, including built-in and tunable failure tolerance, rack awareness, stretched cluster, and replication. Take your hyper-converged infrastructure (HCI) to the next level in this technical series on HCI solutions built on VMware Virtual SAN hyper-converged storage. You’ll learn how it dramatically improves space efficiency, contributing to a lower overall TCO and delivering exceptional performance and availability.